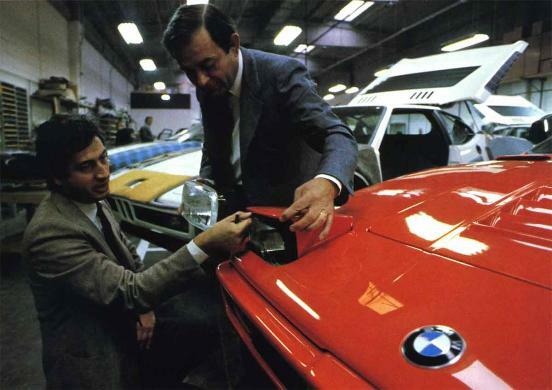 Giorgetto Giugiaro is a principal among the greatest designers of the 20th century. His designs include some of the most successful and stunning automobiles ever build. He has been –and still is– incredibly prolific and influential during his career that has already spanned 5 decades. Giugiaro was born on August 7th, 1938 in Garessio near Cuneo, in northwest Italy. Art was in his blood and he grew up in an artistic family; both his grandfather, Luigi and his father, Mario were painters of -mainly- religious art. After the family moved to Turin, Giugiaro studied art and technical design. Dante Giacosa, Fiat’s Technical director, hired him at the age of 17 after recognizing the talent in some of young Giorgetto’s school work. The red tape and lack of growth opportunities at Fiat didn’t agree with him so Giugiaro left for Bertone. The timeless and stunning Alfa Romeo Giulia GT, one of my all-time personal favorites, was among other gorgeous cars he designed while employed there. Another design house, Ghia, was is deep trouble at the end of 1965. The cooperation with Chrysler had fallen apart a few years earlier and the company had changed ownership a few times before Alejandro de Tomaso bought it. In a move that shocked the design industry, Giugiaro was given the ‘Head of Design’ position. Ghia regained it’s former prominence on the strength of his brilliant designs for Volkswagen, Isuzu, Maserati and –not surprisingly– DeTomaso. The cooperation between Giugiaro and Aljandro de Tomaso was strenuous and Giugiaro established his own company, ItalDesign, in 1968. He would continue to work for Ghia on a free-lance basis for a short period of time. At Italdesign Giugiaro styled numerous cars. The 1974 Golf, 1980 Fiat Uno and the 1993 Fiat Punto were the highest selling automobiles of their respective production years. Giugiaro started the "Folded Paper" era of car design in the seventies. Aerodynamic, wedge shaped cars took on sharp edges. The M1 and the early Lotus Esprit are great examples. He later introduced the "tall-body" design with the Fiat Panda, still of significant influence today. Beginning in the 1970s, ItalDesign diversified it’s product mix and started to work on the shaping of other products, like cameras for Nikon, sewing machines for Necchi, and watches for Seiko. Today, Giugiaro’s daughter Laura is managing the Italdesign-Giugiaro design studio and his son Fabrizio is in charge of the styling and prototype department. Giugiaro has won numerous design awards. The ‘SIAD Silver Medal’ of British Company of Artists and Industrial Designers in 1980 and the ‘Compasso d'Oro’ in 1984 are among a long list of prestigious awards. He was awarded an honorary degree for Design by the London Royal College of Art. In 1999 a jury of about 150 journalists from all over the world elected Giugiaro as the ‘Designer of the Century’. In 2006 Giugiaro was ‘immortalized’ with his induction into the European Automotive Hall of Fame. Wikipedia has a great list of Giugiaro designs.